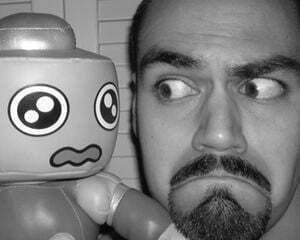 Internet songman brentalfloss has uploaded many funny and creative music videos to his YouTube page over the years. Among those, he cherry-picked a few choice tunes, re-rerecorded them with improved vocals and instrumentation, then packed them into a pair of CDs: What If This CD... Had Lyrics? and Bits of Me. That still leaves a bunch of remaining tracks just sitting there, anxiously awaiting a proper album release. 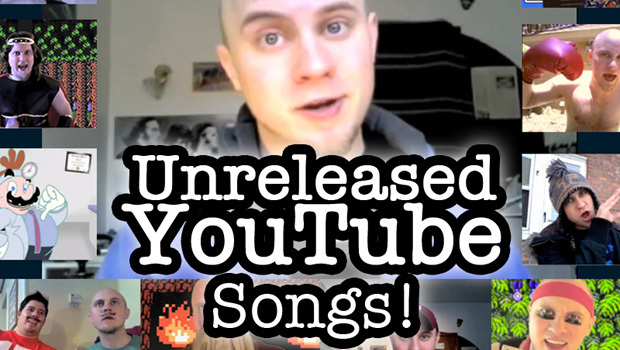 Brent has taken a whole mess of those leftovers and whipped up a makeshift album entitled Unreleased YouTube Songs! It includes early work like his Super Mario World-themed "What a Wonderful World" parody (check the PAX East performance above), later material like "Little Nemo With Lyrics," and even bonuses like "MacGyver With Lyrics." These are the songs as you heard them online, so no remastering aside from the quality gains from not playing through YouTube. On the plus side, you can download each track for $0.59 or all 18 for $7.99! The 59-cent sale extends to a pair of non-game musicals that he wrote in college: Shades of Gray and OU​-​Sical! The Musical. You can also cop the "Cave Story Without Lyrics" instrumental and the "Floss Man Theme 2013 Remix" theme, both tasty chiptune numbers for your earholes. Show the man some love and he'll love you long and hard in return.